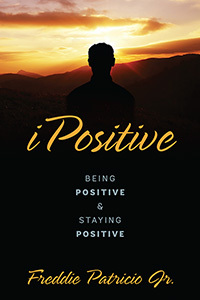 iPositive is a powerful guide to personal happiness through the power of positivity. Its concepts will empower you to overcome self-doubt, disbelief, and inferiority complexes, and you will learn how to transcend the negativity in your life. You don’t go to the gym work out for a day and be fit for life right? You go to the gym to work out and get your body in shape. In much the same way, this book will challenge your mind and keep it in shape. You will become more focused on the things you want in life, like happiness, love, and success. Or you can become more focused on the things you don’t want in life, like stress, smoking, or excess weight. This book is your inspirational manual for a life of fulfillment, a guide that will bring you strength in body, mind, spirit. Get motivated and stay motivated with iPositive! 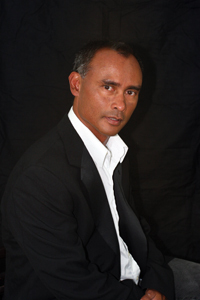 Freddie Patricio Jr. is a life coach, business coach, and soccer coach who resides on the island of Kauai, Hawaii. He is a single dad to daughter Jaylicia and is now a G-Daddy (grandpa) to Po’okela. © 2019 Patricio Publishing LLC. All Rights Reserved.